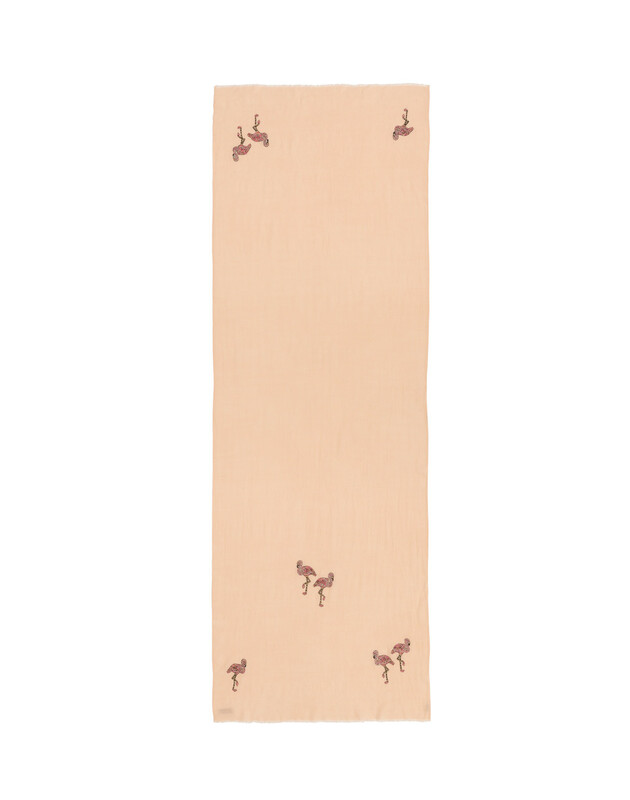 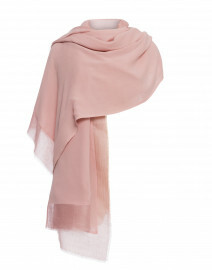 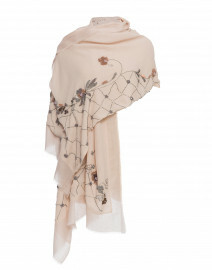 Janavi's light peach shawl has been handcrafted in the label's atelier from a lightweight, incredibly soft merino wool. 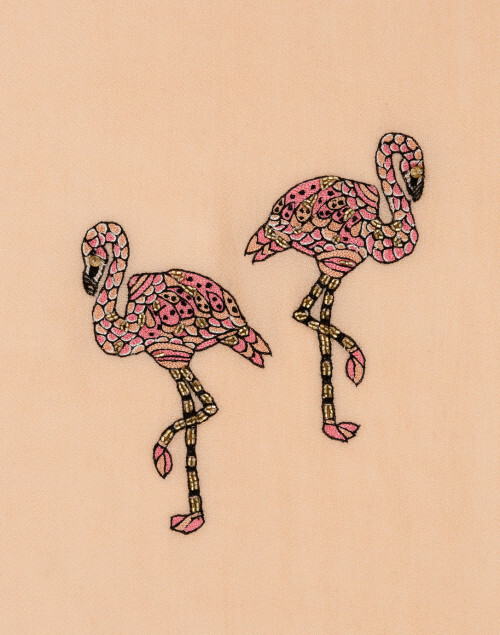 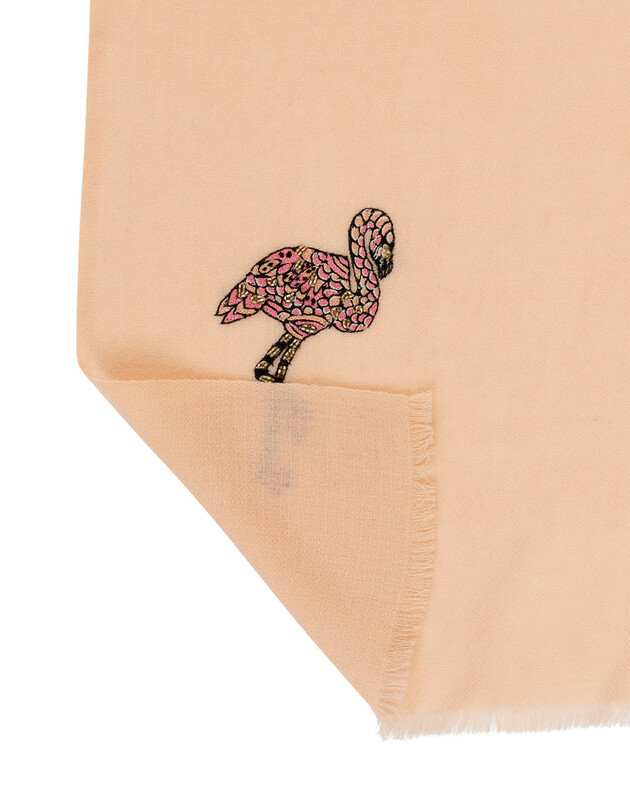 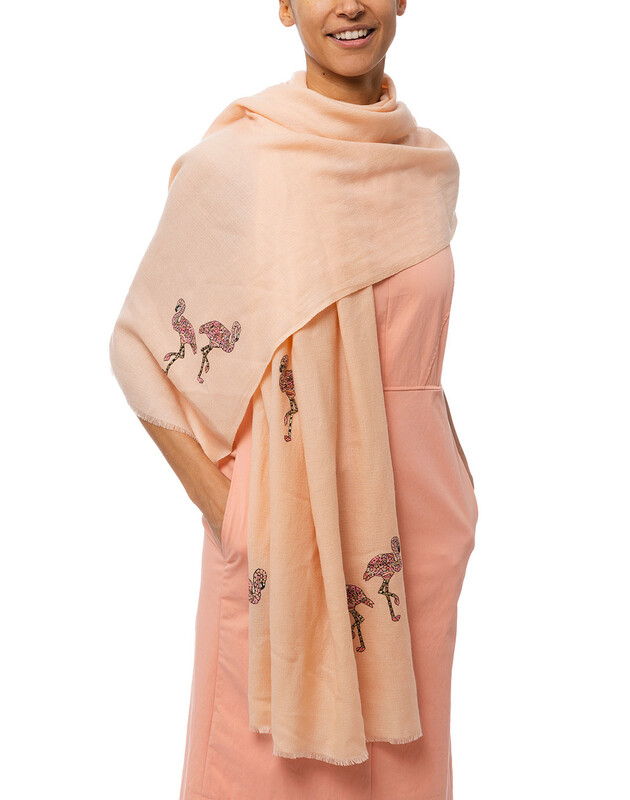 This style features embroidered pink flamingo design for a noteworthy artisanal impact. 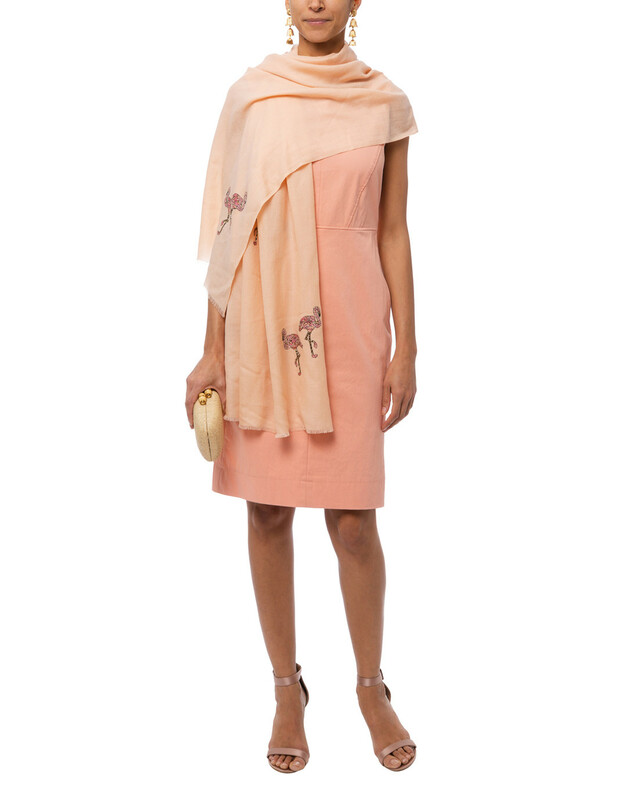 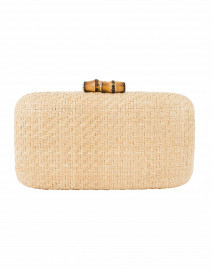 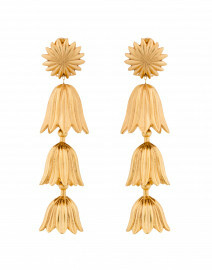 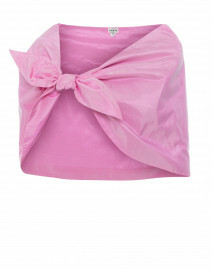 This playful yet chic piece looks great when paired over a simple solid colored dress.